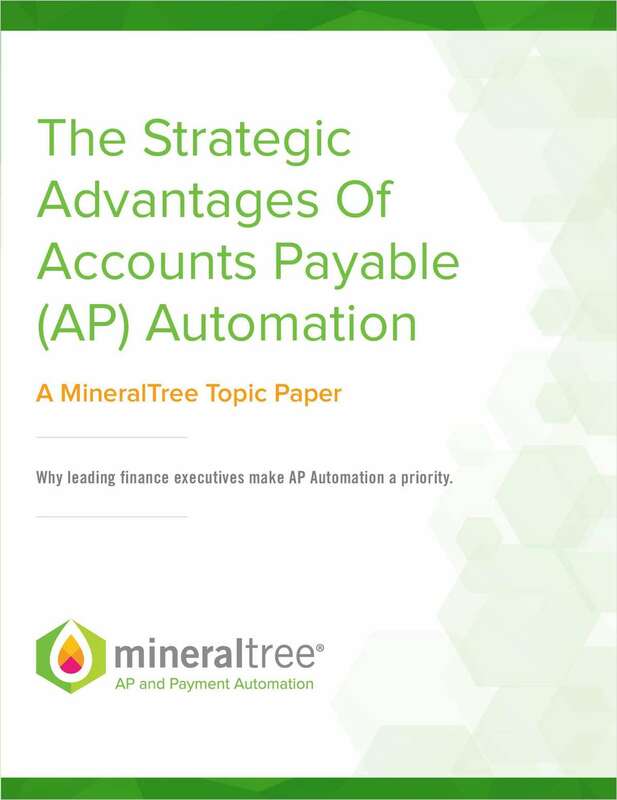 "The Strategic Advantages of Accounts Payable Automation"
Free White Paper: "The Strategic Advantages of Accounts Payable Automation"
Innovation and evolution are key to the longevity and success of an organization. Across the entire business, software has expanded the scope of what the traditional job function entails. By submitting this content request, I have legitimate interest in the content and agree that MineralTree, Inc., their partners, and the creators of any other content I have selected may contact me regarding news, products, and services that may be of interest to me.